Tulips. Spring. Warmth. Clear skies. I’m ready! 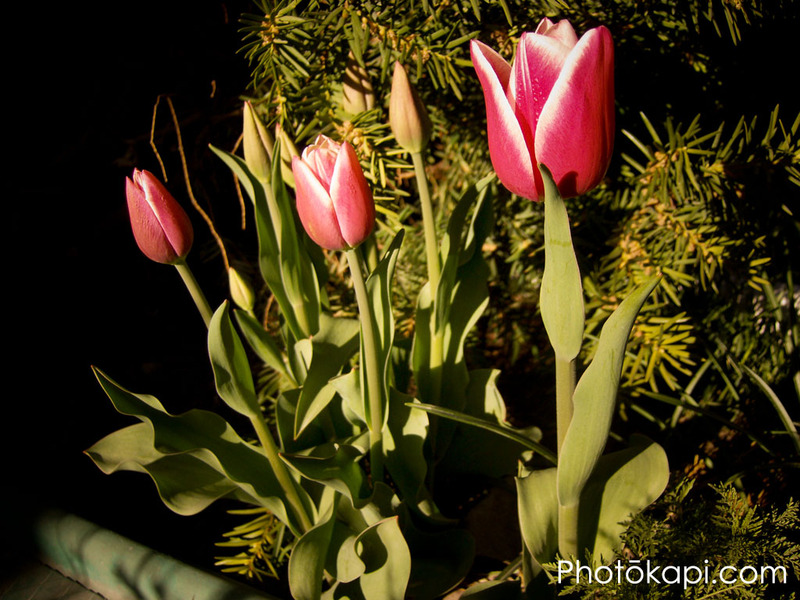 The contrast of the tulips and the pine look really interesting.